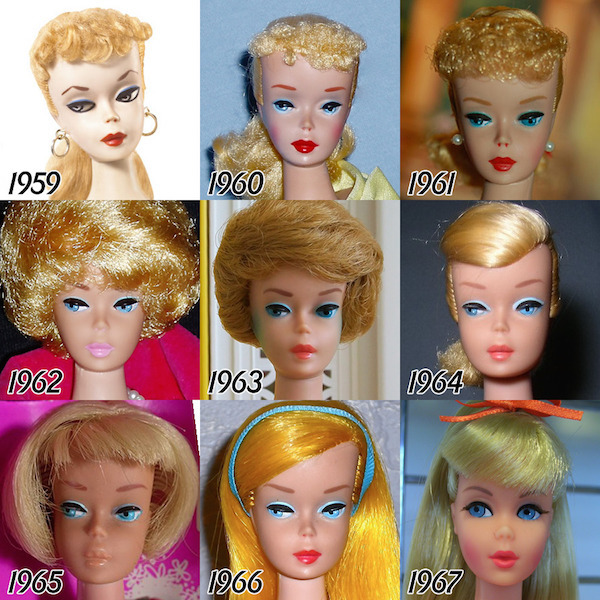 Tumblr user tenaflyviper has put together a collage revealing the drastic changes of Barbie’s look over the past 56 years. 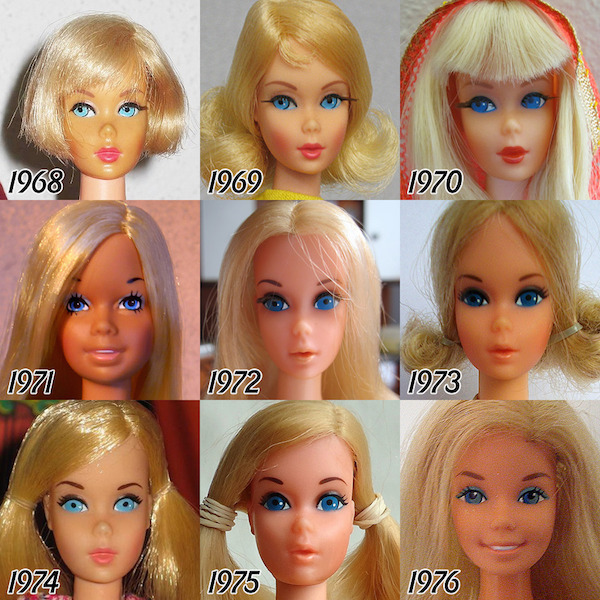 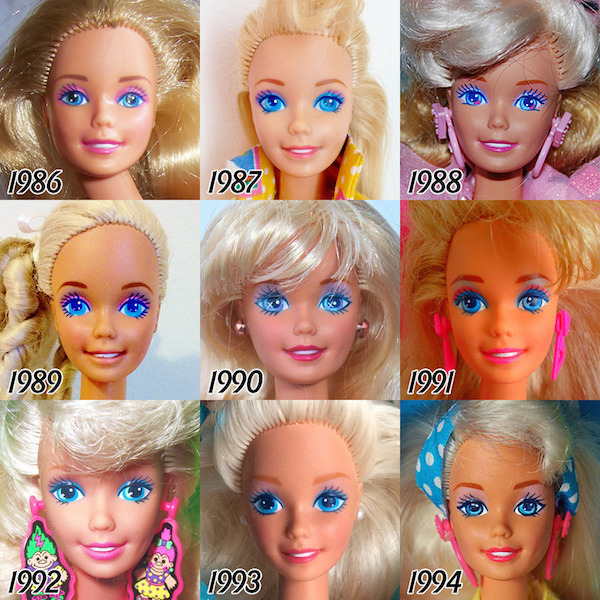 Curious to find out how Barbie’s face has evolved through the ages, he has placed side-by-side comparisons of Barbie from 1959 to 2015. 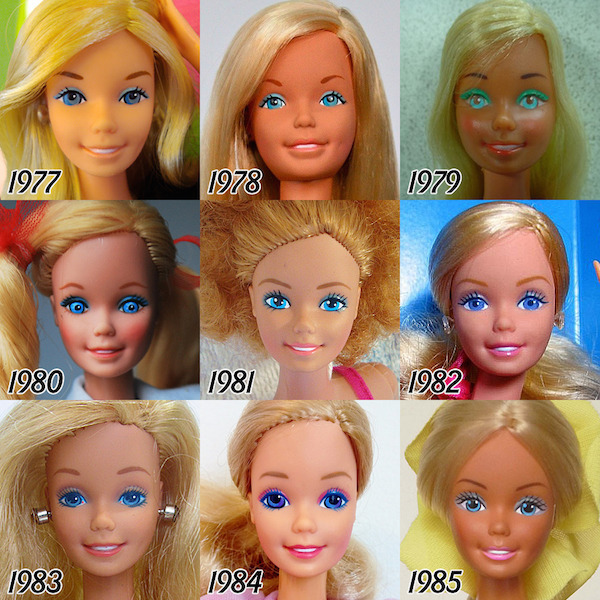 Scroll down to view some of the changes, and head here, for the full photoset.